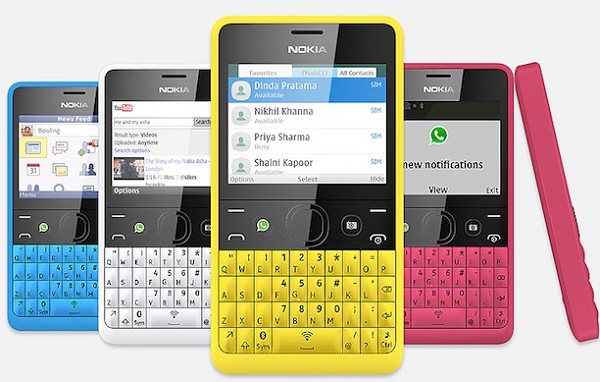 Nokia has unveiled its news Asha 210 to the world, its an QWERTY phone which is the world’s first WhatsApp phone as it comes with a dedicated key for WhatsApp for instant access to instant messaging service. Nokia and WhatsApp are in partnership and to celebrate it WhatsApp is offering free service for Asha 210 users for lifetime. You can also launch WhatsApp from your contacts also and send instant message to them. As of specs it has a 2.0 MP basic camera at back which also can be accessed through a dedicated key even when keypad is locked. It also has dedicated key for Bluetooth and WiFi, you can turn on or off both of them through respective keys. Other features are like Nokia Slam which allows you share files over bluetooth without pairing devices, Nokia Xpress browser which compress data consumption by 90% , Nokia Nearby which allows you to search restaurants, shopping and ATM nearby of you, and it also comes with some pre-install apps like YouTube, Facebook, and Twitter. It has a battery of 1200 mAh which provide 12 hours of 2G talk time It will be available in Yellow, Cyan, Black, Magenta, and White colors in 2nd quarter of this year.